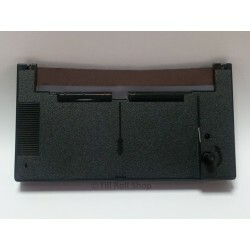 Ink Ribbons and Rollers are used in a wide variety of Cash Registers, they are mostly fornd in older models, the ribbon works by impact to create the image on the paper roll, whereas the ink roller will create the image by rolling over the paper. Both these forms of image generation are slowly being replaced by modern thermal printing technology. Ink Ribbons / Rollers There are 16 products. 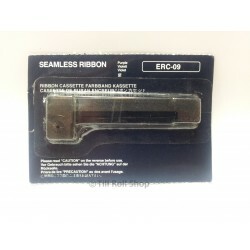 Brand new ERC 09 ink ribbon cassette for use in cash registers and printers. The colour of the ink ribbon is Purple. This item comes with next working day delivery, 1st class via Royal Mail. A VAT invoice will be enclosed with your order. 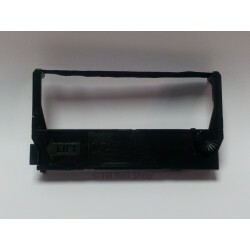 Brand new ERC 18 ink ribbon cassette for use in cash registers and printers. The colour of the ink ribbon is Purple. This item comes with next working day delivery, 1st class via Royal Mail. VA VAT invoice will be enclosed with your order. 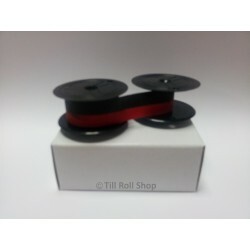 Brand new ERC 23 ink ribbon cassette for use in cash registers and printers. This item comes with next working day delivery, 1st class via Royal Mail. A VAT invoice will be enclosed with your order. 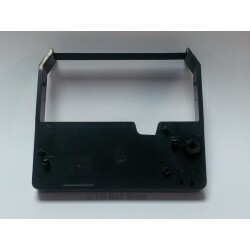 Brand new ERC 30/34/38 ink ribbon cassette for use in cash registers and printers. The ink ribbon colour is Black/Red. This item comes with next working day delivery, 1st class via Royal Mail. A VAT invoice will be enclosed with your order. Brand new ERC 30/34/38 ink ribbon cassette for use in cash registers and printers. The ink ribbon colour is Purple. This item comes with next working day delivery, 1st class via Royal Mail. A VAT invoice will be enclosed with your order. 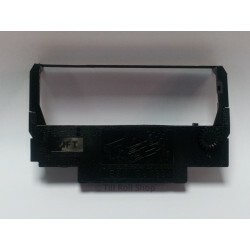 Brand new ERC 32 ink ribbon cassette for use in cash registers and printers. The colour of the ink ribbon is Purple. This item comes with next working day delivery, 1st class via Royal Mail. A VAT invoice will be enclosed with your order. 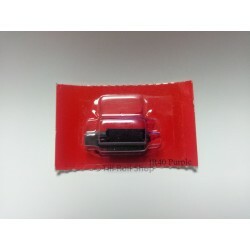 Brand new Group 24 (GR-24) ink ribbon for use in cash registers. The colour of the ink ribbon is Black/Red. This item comes with next working day delivery, 1st class via Royal Mail. A VAT invoice will be enclosed with your order. 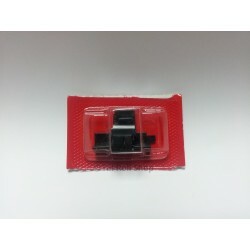 Brand new Group 24 (GR-24) ink ribbon for use in cash registers. The colour of the ink ribbon is Purple. This item comes with next working day delivery, 1st class via Royal Mail. A VAT invoice will be enclosed with your order. 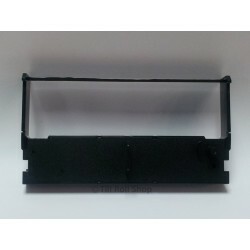 Brand new IR-40T ink roller for use in cash registers. The ink roller colour is Black/Red. This item comes with next working day delivery, 1st class via Royal Mail. A VAT invoice will be enclosed with your order. 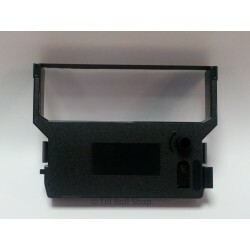 Brand new DP600 / DP-600 / IR 60 / IR 61 ink ribbon cassette for use in cash registers and printers. The colour of the ink ribbon is Purple. This item comes with next working day delivery, 1st class via Royal Mail. A VAT invoice will be enclosed with your order.